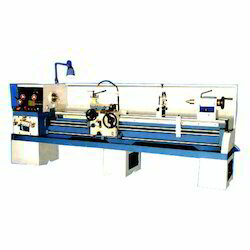 We offer Geared Lathe Machine. - Power Required - 1.5. H.P. Our company has mastered the art for providing Gear Head Lathe Machine to the clients. This product is manufactured in compliance with set norms of international guidelines, by making optimum utilization of modern tools. Offered range is extensively preferred for shaping metals in innumerable industries.